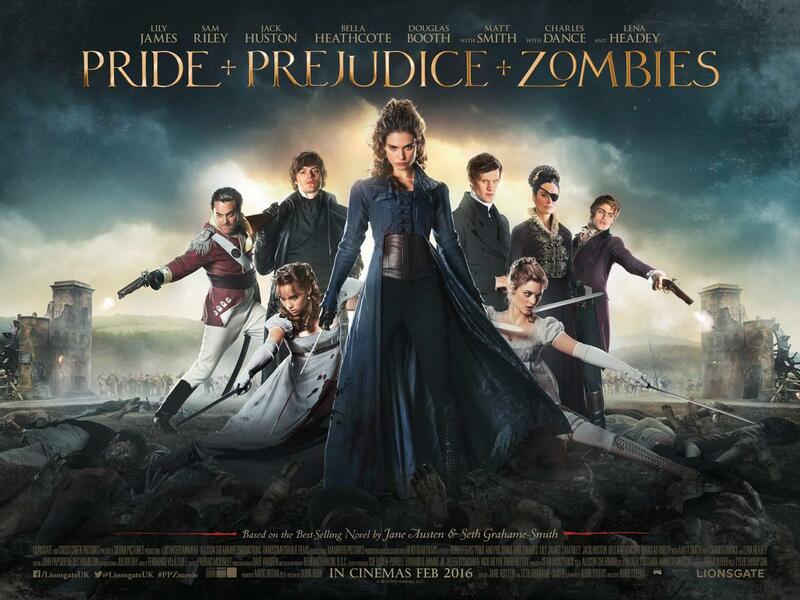 There's a good reason why I liked the book Pride and Prejudice and Zombies, the follow up comic, and now the movie. Sure, I like the original too and appreciate it's rags to riches plus feminist motifs. Like Led Zeppelin's Stairway to Heaven, Austen's most famous piece is a tale of restraint. Alas, there is too much restraint in there for me to take and no Jimmy Page on an electric guitar to let loose at the climax. Enter the zombies into the mix to add that necessary bit of spice to the story! Because as nice as it is to listen to Elizabeth Bennet go on and on, it is much nicer when she takes matters into her own hands and pulls a martial arts move. Or even sticks a sword in someone's eye. One can clearly see a lot of things potentially going wrong with a movie such as Pride and Prejudice and Zombies, but luckily this one skips them all. First, we have fine actors on duty here; former Cinderella and Downton Abbey graduate Lily James proves she can pull a karate move. And with Charles Dance as her father, clearly she cannot go wrong. Second, and more important, is the fact this movie clearly does not take itself too seriously as it provides its version of that famous tale told in a zombie infested England where the rich and the privileged study Japanese karate but the lesser endowed go Chinese. Seriously, comic retakes are hardly ever more serious. Overall: Plenty of fun to be had in here. Certainly more than in the original. 3.5 out of 5 crabs.